It comes in a 500WS version and a 1000WS version. Both feature High Speed Sync up to 1/8000 seconds, 20 flashes per second and the ability to freeze flash durations as short as 1/63,000 of a second. They’re fairly spendy at $1,495 for the 500 and $1,995 for the 1000. 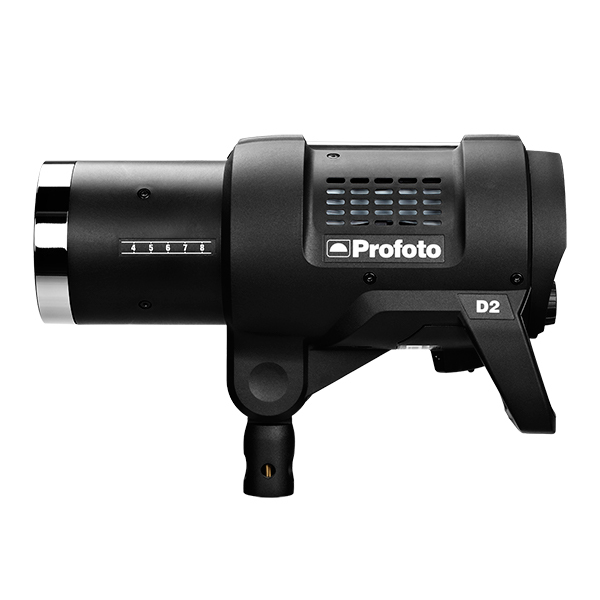 According to Profoto the D2 is available to purchase now, but we’ve only seen them as pre-orders on a photo gear websites, so it may take a day or so for the lights to become available everywhere. For more details check out the press release below. A photographer might need to freeze action with absolute sharpness. The D2 brings pin sharp clarity with a flash duration of up to 1/63,000 of a second, which makes it faster than most high-end studio packs on the market. Better still, it offers super short flash duration across the full energy range. If flash duration is exceptionally fast, recycling time is equal to it. With the D2 you can shoot up to 20 flashes per second. That allows you to catch 20 versions of the same moment, and quite often that’s the difference between capturing a good image and a great image. The D2 can also help to speed up workflow because it’s equipped with patented TTL technology. You can point and shoot and the D2 will automatically adjust its output for perfect exposure. But manual mode is available at a click of a button, so switching between both modes with settings intact just makes everything move faster. “We designed the Profoto D2 to be the world’s fastest monolight,” says Johan Wiberg, Product Manager at Profoto. The D2 is released Sept 15, 2016. Both the 500Ws and 1000Ws versions are available in different kit configurations.